Described as “Strong, fresh and unabashed” (NY Times), and “risky and bold” (Norway Times), Grethe Barrett Holby has been a driving force in new American opera for over 25 years, credited with “propelling opera into the 21st century.” (NPR) Holby has directed, choreographed, produced and collaborated on world premieres with many composers of our time including Leonard Bernstein (Trouble in Tahiti & A Quiet Place for Houston Grand Opera, Kennedy Center and La Scala), Lou Reed (Metal Machine Music at The Kitchen, NYC), Vincent Persichetti (The Sibyl for Pennsylvania Opera Theater), Gian-Carlo Menotti (The Bride from Pluto at Kennedy Center), and Kitty Brazelton, Eve Beglarian & Lisa Bielawa (Electric Ordo Virtutum at Lincoln Center Festival). Holby was an originating cast member in Philip Glass and Robert Wilson’s Einstein on the Beach, touring major opera houses in Europe, and culminating in performances at the Metropolitan Opera, was resident choreographer for the Houston Grand Opera, and is a free-lance director who, believing passionately in the need for a new American Opera, founded and led American Opera Projects 1988-2001, commissioning, developing, and directing over twenty-five new works with the company. Holby has directed the standard opera repertory and many new productions for companies including Opera Company of Philadelphia’s Faust (also broadcast on National Public Television) “a Faust stripped of all the old clichés....powerful staging charts every emotional turn.”(Courier-Post), Anchorage Opera (Rigoletto, Hansel & Gretel), Opera Memphis (Faust), Opera Co. of North Carolina (La Traviata), Toledo Opera (Daughter of the Regiment), Indianapolis Opera (Faust), Minnesota Opera’s US premiere of Animalen, which opened the Ordway Theater, Wolftrap (with her own edition, translation, and production of Haydn’s The Apothecary), and Lake George Opera Festival’s Carousel, which Holby directed, choreographed and designed: “an artistic master-piece.” (Post-Star). With AOP, Holby directed the premiere productions of Uliana Rooney (by Vivian Fine at Annenberg Center & NYC New Works Festival), Hildegurls Electric Ordo Virtutum (Lincoln Center Festival & 2009 CD release on Innova), Sir Gawain and the Green Knight (TADA! & Orlando Shakespeare Co.), and Fireworks (Fort Green Park, Brooklyn, NY). Most recently Holby directed the U.S. premiere of The True Last Words of Dutch Schultz by Eric Salzman and Valeria Vasilevski for Center for Contemporary Opera at Symphony Space NYC; and the world premieres of Masters on the Movies, by Michael Dellaira and Richard Howard (New Amsterdam Singers, Merkin Hall, NYC) and American Journal by Ted Wiprud and Robert Hayden (Lark Chamber Players at Symphony Space NYC and NY Public Schools), as well as Leonard Bernstein’s Trouble in Tahiti in a probing new production at the Boston Fringe Festival for the BU Opera Institute. “She moves the chorus with the masterful hand of a great choreographer” (Courier-Post). Holby has choreographed productions for Houston Grand Opera (Madame Butterfly, Tales of Hoffmann, Wozzeck, Daughter of the Regiment, Pagliacci, Turandot, Bernstein’s Trouble in Tahiti & A Quiet Place - premiere HGO, Kennedy Center, La Scala, and Dido & Aeneas); Washington Opera (Rigoletto, La Belle Helene); Michigan Opera Theater (Regina, Summer Snow -Premiere) and Los Angeles Opera’s Tales of Hoffman with Placido Domingo and Julia McGuinness: “Olympia was a marvel of comic ingenuity.” (Los Angeles Herald Examiner). Holby has played the Dance Mistress twice in Daughter of the Regiment and Annunciata for Jean-Pierre Ponnelle’s Arlecchino. She made her New York NY performance debut with Laura Dean and Dance Co. in the ground-breaking Spinning Dance, later premiering Laura Dean and Steve Reich’s Drumming at Brooklyn Academy of Music, then burst out of minimalism “bringing punk to loft dance” (Siegel, Dance Journal) with Lou Reed’s Metal Machine Music, and her dance company, Grethe Holby and Dancers, also choreographing to music by Brian Eno/David Byrne and Glenn Branca. She was an originating cast member of Philip Glass and Robert Wilson’s Einstein on the Beach, and performed in a number of early works by Eric Bogosian. Holby is the Founding Executive Director of the totalist opera development company, Ardea Arts/Family Opera Initiative*, a company dedicated to making new opera repertory with a uniquely American esthetic, to enchanting, challenging and inspiring multigenerational audiences, and to engaging the community in the process and performance of the work to the greatest extent possible. Current projects include The Man in the Black Suit, a new opera with composer Eve Beglarian, based on the award winning story by Stephen King -- Holby collaborating as co-librettist and director (Rockefeller Foundation Fellow 2006; Atlantic Center for the Arts 2008 & PS 122 readings NYC, 2008); Animal Tales with Kitty Brazelton and George Plimpton (Atlantic Center for the Arts workshop 2005, Montclair State University Peak Performance workshop 2006, NYC premiere concert readings 2008) – Holby: origin, direction, and dramaturgy. “Absolutely a gem in the making,” (Jedediah Wheeler, executive director); and The Three Astronauts, an opera based on the book by Umberto Eco and Eugenio Carmi, about reaching across boundaries of language and culture to embrace the ultimate other. David Gockley described Holby as “the contemporary counterpart of the Renaissance man.” (Vogue Magazine) Ballet trained, she holds B.S. 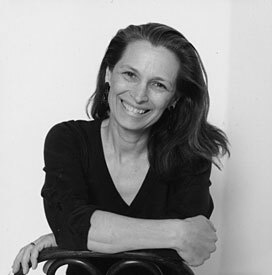 and Master of Architecture degrees from the Massachusetts Institute of Technology, studied set design at Harvard University under Franco Colavecchia, was a member of the Houston Opera Studio, and a recipient of an American Opera Institute Grant in Opera Stage Direction, working with Rhoda Levine and Cynthia Auerbach. She has sat on numerous panels and given master classes in opera stage direction and new trends in opera. She is a board member of MATA!, a company for young composers, and an advisory board member of The Center for Contemporary Opera. She lives with her husband and three children in NYC. * ARDEA ARTS/Family Opera Initiative is a Professional Company Member of OPERA AMERICA, and a Member of Theater for Young Audiences, Theater for Youth USA (the American Chapter of ASSITEJ), and APAP, as well as Partners with the Atlantic Center for the Arts (ACA), FL. Family Opera Initiative was initially founded as a program of American Opera Projects in 1995.